In total, 46 applications for the UCLG City of Bogotá Peace Prize have been received from all over the world. Out of these applications the high-level jury of the prize has selected five top contenders. These local governments were invited to send representatives to Bogotá to present their case for the jury and audience at the UCLG World Congress, which took place from 12-15 October. The finals of the Peace Prize took place on 13 October, and the jury convened on the morning of 14 October to determine the winner of the prize. The jury report is now available, highlighting the feedback of the jury on each finalist. This jury was represented at the UCLG Congress by Dr. Aisa Kirabo Kacyira, Prof. Rafael Grasa and Ms. Janny Vlietstra. As delegation of the jury, they received the full mandate of the other jury members to choose the winner on their behalf. The jury meeting was chaired by Ton Rombouts, Mayor of ‘s Hertogenbosch, Chair of the Commission for International and European Affairs of the Association of Netherlands Municipalities and Vice-Chair of the UCLG Committee on Development Cooperation and City Diplomacy. Daan Stelder of the Peace Prize secretariat was present to provide further support. The jury members express their strong appreciation of all finalists’ projects and presentations. All five shortlisted local governments showcased inspiring examples of the diverse range of ways in which local governments can contribute to peacebuilding and peacemaking at the local level. Every single one of these local governments is therefore considered to be of the quality of a winner, and deemed worthy of recognition and support. The jury commends the local government staff involved for their resolve and creativity in contributing to the prevention and resolution of conflict, and fostering a culture of peace at the local government level. 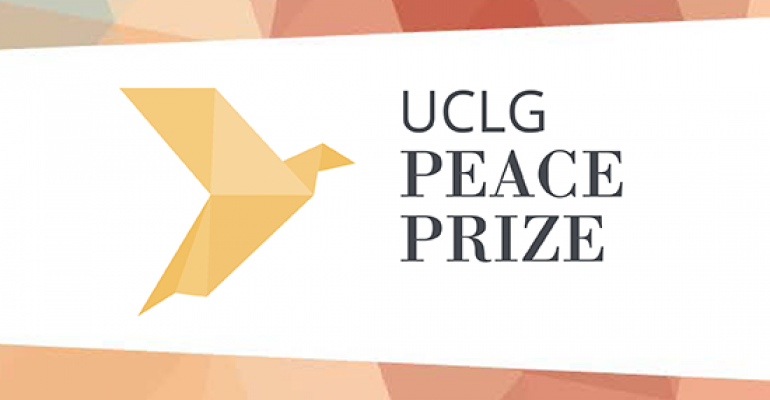 While all finalists displayed a quality that deserves the spotlight, the UCLG City of Bogotá Peace Prize ultimately can only have one winning candidate. The jury has selected the municipality of Kauswagan from the Philippines as the winner of this first edition of the prize.